Super B Batteries at ABC! 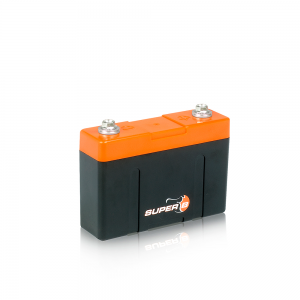 We stock Super B Batteries and they are now available online – all of them! Here at ABC (Autosport Bearings and Components Ltd) we’ve been working extra hard to get most, if not, all our exceptional motorsport parts online. Super B Batteries for instance, are superior to the mass-produced Lithium Ion batteries as they are Lithium Ion Phosphate made. This means Super B Batteries maintain their voltage output until the cells are completely discharged unlike the regular batteries on the market, where the loss is gradual. Essentially, this gives you the flexibility of operating a vehicle without the use of an alternator, saving weight and reducing time spent in service. Here’s our LITHIUM ION STARTER BATTERY 2600P-AC for £139.99 (ex VAT). The Starter Battery 2600P-AC is capable of providing engine cranking pulses in excess of 2250 amps for 5 seconds. Operating temperatures vary from -30 Degrees Centigrade to 60 Degrees Centigrade for all models. • Quads Using Up To 450cc 4 Stroke Engines. As a Starter Battery, the 2600P-AC will enhance the overall efficiently of the vehicle, increasing performance and decreasing weight. Each battery is hand built and tested before shipping as well as being made using lithium iron phosphate. Not bad for a battery! Click here to see our LITHIUM ION STARTER BATTERY 2600P-AC, see the whole Super B Range here or give us a call on +44 (0) 1932 225 777 now.